Structured settlements are known as payment methods for legal claims, lawsuit cases, and several other payment rewards. In contrast to a lump sum settlement alternative, the structured settlement money is paid over a specific period of time. There are several reasons that you may choose to consider a structured settlement investment as opposed to the one time lump sum money. Annuities are products managed and sold by insurance companies. You can sell your annuity either it is immediate or deferred. The money that stays in the account is secured from taxes until you make a distribution. When it comes to huge amount of settlements, you may be granted the option to annuitize your account, or this might be a component of the settlement prerequisites. When this takes place, the funds are placed in an annuity, and as the annuitant, you will receive scheduled payments, which can either be period certain or life certain. The life certain term gives out an income throughout your lifetime, while the period certain provides payouts for a particular number of years. On the other hand, the structured settlement loans utilize annuities to maintain and distribute the funds from a huge settlement over time. This maybe caused by more than one reason. For one, you may want to take advantage of the tax benefits by taking the money over time rather than in an instant. This can also prevent you from using all of your resources fast because of your poor cash management. Since there are many people that make very expensive purchases or aid their poor relatives who come visit them home, the structured settlement investment can assist in inhibiting you from experiencing abrupt financial losses. 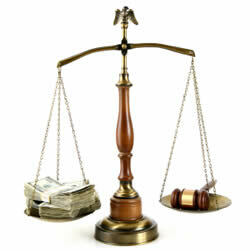 In reality, there are two main drawbacks in having a structured settlement. The first disadvantage is the limited resources. When you have a structured settlement, you don’t have direct access to your bulk money, which you can use for car or home purchase. This may let you feel that you are ensnared to live within the means set on you. Most people who procure this kind of settlement are either unable to look for further work or are disabled, thus they ultimately rely on their settlement payments. Another disadvantage is its investment potential. Even if you don’t need your money soon, you may later realize that the annuity firm is generating money off your lump sum funds while you could be making the money personally by investing in assets with good potential for growth. If you are searching for a structured settlement purchaser, you’ll be delighted to know that there are several companies that buy these annuities. They are promoted and advertised on television declaring that they can help you acquire your money fast. While several states control the sale of these settlements, in actual fact, they are very attractive methods to generate huge sums of money fast, although they are not designed for your best interest. If you currently maintain a tax-free settlement, you should gain knowledge of the federal restrictions in selling these annuities. You should recognize that these companies will not offer this opportunity for free and will frequently get as much as 1/3 of your lump sum account balance. If you plan to take your structured settlement investment, make certain that your financial requirements are met and your best interests are taken into consideration. It would be advantageous to get the investment advice and services of a neutral third-party financial expert to evaluate and assess your insurance company’s strength and ensure that there are no unwarranted commissions that you’ll have to pay. Don’t just allow your lawyer to place the annuity, particularly if he is also a licensed and experienced insurance agent. 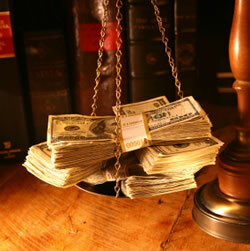 Confirm all the information regarding your attorney’s financial interest on your case. In many instances, you may wish to divide your settlement among different insurance firms to broaden and diversify your portfolio to lower the risk.